So, in a few weeks the Horde will unleash their warriors on the city of the sea-nation Theramore, thereby destroying the city and making a certain mage very angry. 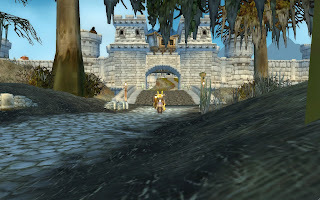 I still remember the first time I was in Theramore. It was on my first character, a dwarf hunter, and he had a quest to go to somewhere else. 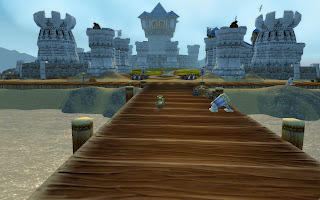 Mind you, I had only seen the dwarf-route, and I may have visited Stormwind with the Tram. And now I had this quest that wanted me to go to Ashenvale? Where was that. Luckily I already found out that there was a boat from Menethil to a place called Theramore on the other side of the ocean. Of course, my level 20-something hunter died horrible in the marshes trying to get to the barrens, but well... it was exploring. I always found Theramore a little strange, as in, why not do more with it. They have a huge dock...but only one boat goes there. 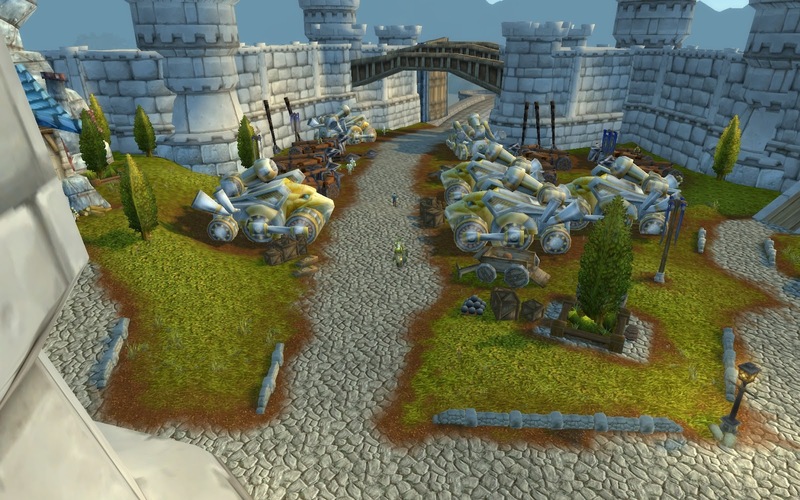 A city with a lot of terrain.. where is the Theramore auction house? I did find a banker... but no idea if he has been there all the time. 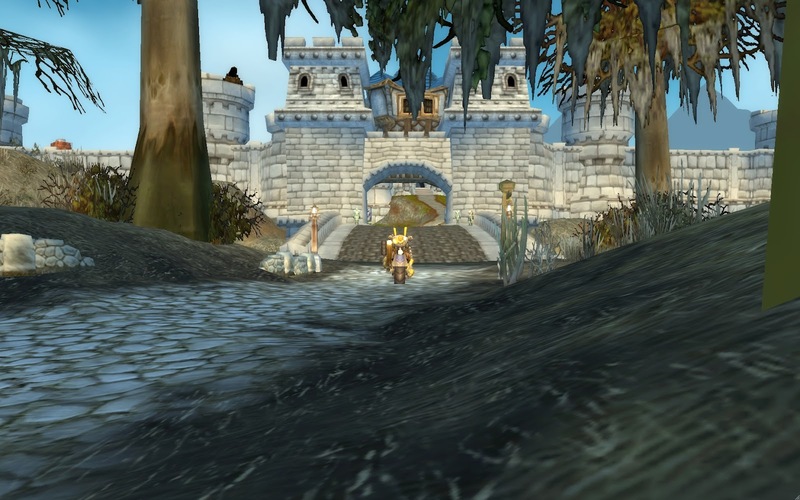 For those of you who haven't been there lately... Theramore now has a second gate, which is the start of a very straight road through the marsh connecting some old quest-hubs neatily to each other. Just over the bridge, I spotted something new, of things to come. And it was not easily missed, with the whole beam shining down. This lady, one of the Dragonkin, is mostly known for doing the most useless thing in Dalaran. During Wrath and Cata, she stood in the Tower, and if you talked to her, she teleported you to the Caverns of Time... which was really needed...especially because she was standing right in front of a portal with the same function. But now she is in Theramore..... what will her function be there? Theramore it self is a little questhub... not many though. There is some struggle with deserters, and there was a questline concerning King Wrynn...which is now ended abruptly. 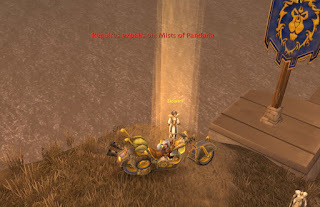 Alliance however did get a questline where they met up with a legendary man... Nat Pagle. Now... back then (:p), till patch 2.3 orso, Nat Pagle was the one who could learn you how to fish above skill 225 (iirc). No problem..if you played Alliance. 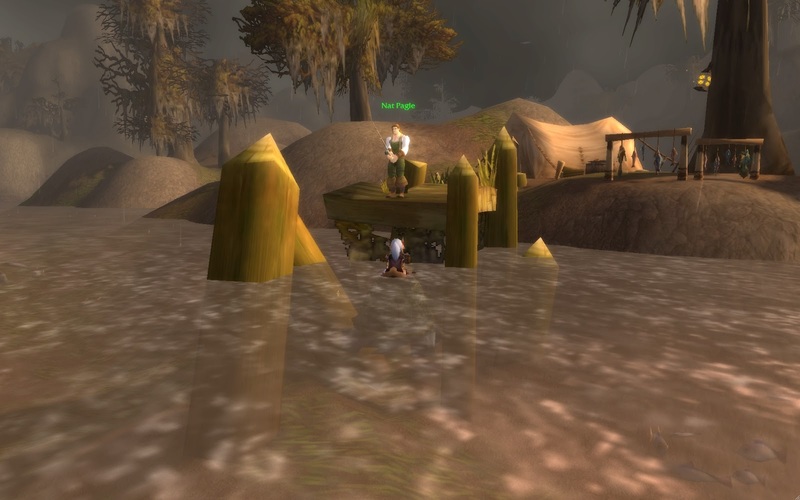 Now if you where playing Horde, which I did when I reached that level of fishing, you had no idea where he was.... and you had to fight your way through the Marsh to get there. But alas, here he is... doing his part in defending Theramore against the creatures of old.